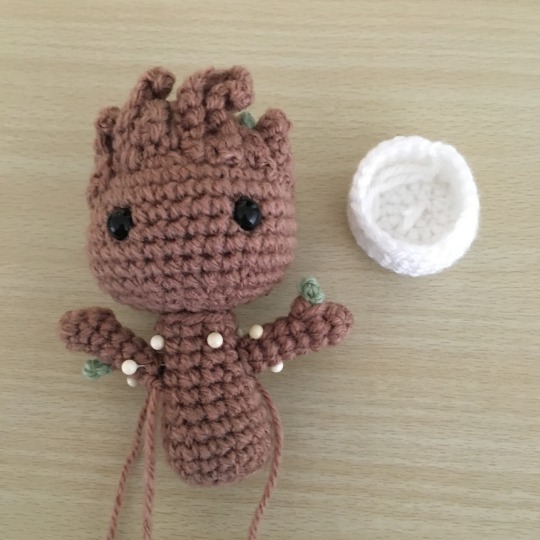 I don’t know about you, but I fell in love with Groot after watching Guardians of the Galaxy, and especially with the tiny potted Groot that appeared at the end. 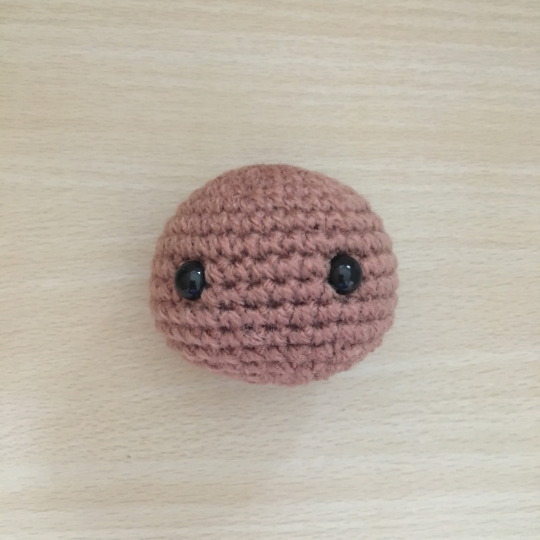 It took me over a year to get around to making one, which is absolutely typical, but here he is at last! I must say, he’s pretty adorable, and fairly simple to work up. At this point, stuff the head and insert the eyes between rows 9 and 10, with about 6 stitches in between. Finish off and close up the little gap. PlanetJune has a great tutorial for those of you who don’t close pieces very often (like myself). It’s not really hair, but I’m going to call it hair. For the hair/bark we’re going to crochet a bunch of curly pieces. This is in no way an exact science. You can make as many or few pieces as you want, of whatever lengths you want. The above example is for a piece that’s 9 stitches long. For a piece 4 pieces long, just replace the 4 with a 9. 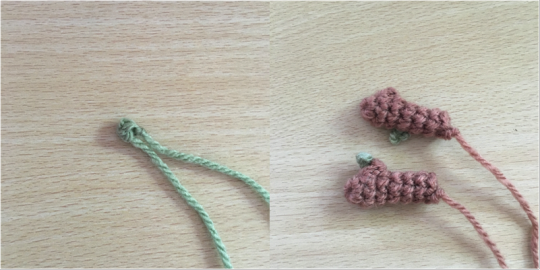 Leave a tail for each one, long enough to use it to attach to the head later on. 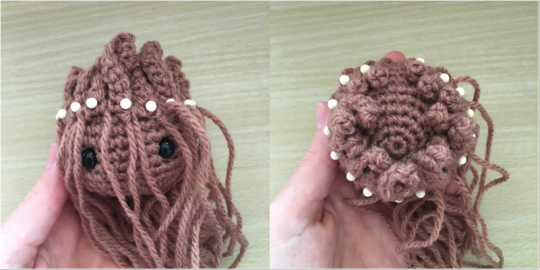 The hair is probably the trickiest part of the pattern, and it’s not necessarily tricky, just time consuming. Finish off, leaving a tail long enough to attach the head and stuff the body. Finish off and hide the tail. That’s the crochet portion done, now time for assembly. The only tricky part of assembly is getting all of that hair in place (so much hair!). I like to put the longer hair pieces in the middle of the head and use slightly shorter pieces until I reach the edge. Some of them will have uneven lengths (for example, I usually make 3 pieces that are 7 stitches long). This just means that his hair won’t be completely symmetrical, which I like and do on purpose. I also like to make sure that the curls are all going the same way. 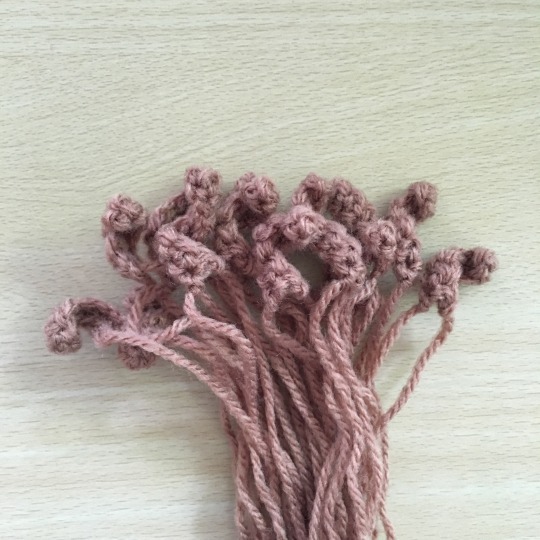 The way they twist will depend on what hand you crochet with (whether you’re right-handed or left-handed). I’m right handed, so they curl clockwise. I make sure the curls are turning towards the head, instead of poking out past the face; that way they look kind of swept back. (In the picture below, the left curl is pinned the wrong way, the right curl is pinned the right way, or at least the way I prefer). 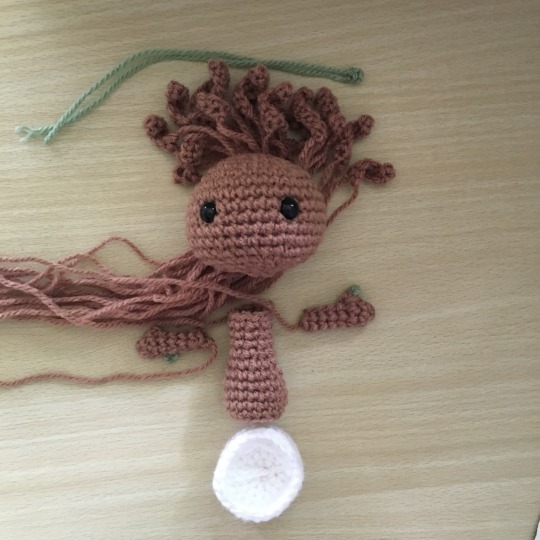 After attaching all of the hair, all that’s left is to attach the arms to the body, and the body to the head. Optionally, you could try to put jewellery wire or pipe cleaners in his arms, to make them pose-able, but I usually don’t bother since they’re a little too small. Then place him into his little pot plant, and he’s ready to dance! I started 53stitches in 2014 after being inspired by some amazing (I now realise) knitted dolls. 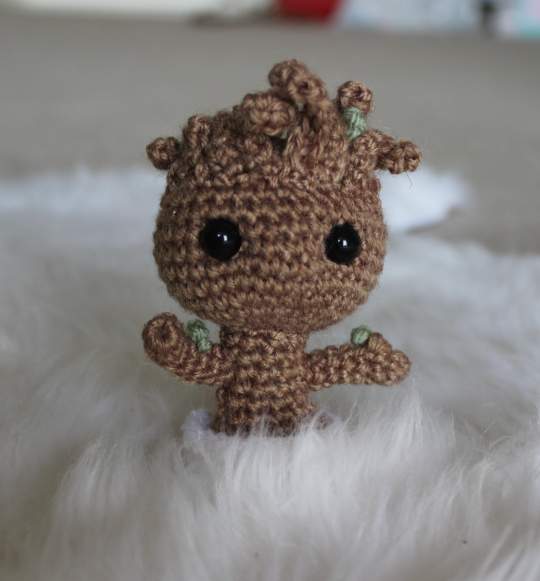 I made my first little crocheted monkey doll a couple of weeks later, and then I was hooked for good. 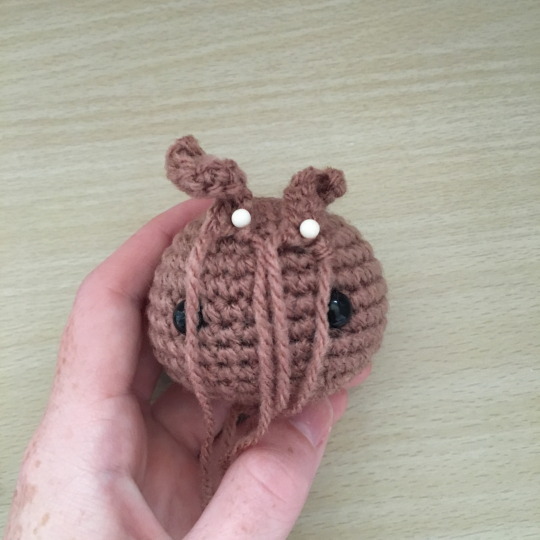 This blog is a chance to give back to the wonderful community that provided so many free patterns and tutorials when I was starting out. I'm able to keep this blog free thanks to your continued support, please consider buying me a coffee! Keep up to date with new projects and works.